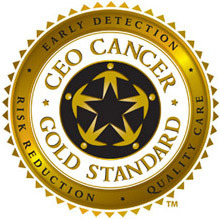 To become a "CEO Cancer Gold Standard institution," Minot State University must help fight cancer, by meeting three goals: risk reduction through lifestyle change, early detection and quality care. Part of reaching these goals includes establishing and enforcing a tobacco-free worksite policy and providing health benefit plan coverage for tobacco treatments (counseling and medications). The health hazards of tobacco use have been well established. Cigarette smoking kills nearly 500,000 Americans annually. Secondhand smoke is a Class A carcinogen (cancer-causing agent); according to the 2006 US Surgeon General’s Report, there is no safe level of exposure to secondhand smoke. Smokeless tobacco contains 28 carcinogens, and according to the Centers for Disease Control and Prevention, is known to increase the risk of developing cancer of the oral cavity. This policy is established to protect the health and promote the wellness and safety of all students, employees and the general public. For purpose of this policy, tobacco use includes the possession of any lighted tobacco product or the use of any oral tobacco product, including electronic cigarettes. The use of tobacco on university property, indoors or outdoors or in university vehicles, is prohibited at all times. This prohibition includes smoking in personal vehicles parked on university grounds. The policy applies to all employees, students and visitors. This policy also applies to external individuals or companies renting or using space with MSU and should be reflected in all agreements/contracts with such individuals or companies. Minot State University is a tobacco-free campus. To support those who are interested in quitting tobacco use, all benefitted employees have available to them, through the North Dakota Public Employees Retirement System Health Care Plan, a North Dakota Tobacco Cessation Program. For more information, call 1-800-223-1704. For others, assistance in quitting tobacco use is available locally through the First District Health Unit at 852-1376. The North Dakota Tobacco Quitline is also available at 1-866-388-7848 for those interested in quitting tobacco use. The responsibility lies with the employees, students and visitors of Minot State University to abide by this policy. A student in violation should be reported to the vice president for student affairs. An employee in violation should be reported to his or her supervisor. Repeated violation by a student will result in disciplinary action as outlined in the Student Conduct Policy in the Student Handbook. Repeated violation by employees will result in disciplinary action as outlined in applicable State Board of Higher Education policies. Visitors who persist in noncompliance must be directed off university grounds. Current smoke-free signs on campus will be replaced with similar, tobacco-free/smoke-free signs. This policy and explanation will be printed in university-approved publications, including the Student Handbook, the Faculty Handbook, and other publications, as deemed necessary. It is also posted on the Staff and Faculty webpage and in the MSU Human Resource Policy and Procedure Manual found on the Human Resources webpage. Information regarding the Tobacco-free Campus Policy will be included in formal and informal orientations for new students and employees. This policy will be sent out as a reminder, through campus announcements, at the beginning of each semester/term. Organizers of events are responsible for communicating this policy to attendees. The tobacco-free policy may not apply to specific activities used in connection with the practice of cultural activities by American Indians that are in accordance with the American Indian Religious Freedom Act, 42 U.S.C. 1996 and 1996a, All ceremonial use exceptions must be approved in advance by the President of Minot State University or designee.